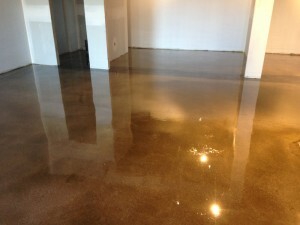 Need your industrial floor resurfaced? 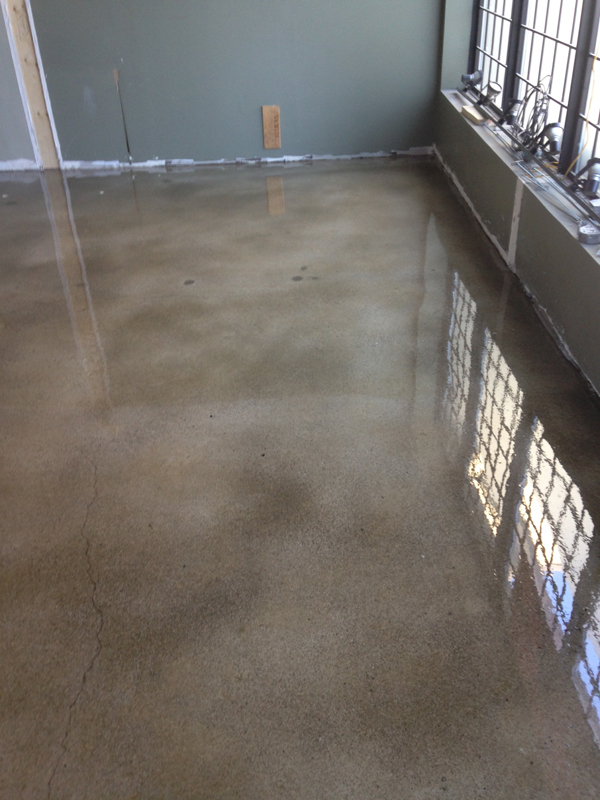 The industrial floor finish process begins with surface prep. 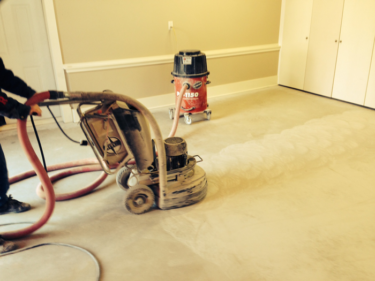 It’s always the key to a successful floor installation. The old floor in the video has been used for many different businesses over the years, and once complete will be home to an extensive car collection. The process began with a deep grind using a 32” machine that weighs more than 1500 lbs. The combination of weight and the correct diamond tooling ensures a deep grind to fully remove all surface contaminants. We also ran a shot-blaster over the rougher areas to ensure a clean floor down into any divots and depressions. Once a good clean floor is achieved, we skim the floor out with a floor patching material to fill and smooth the depressions and other deficiencies prior to coating. Once that has dried, a light grind over the patch and we are ready to begin the coating process. Our base coat of epoxy goes down nice and even with a squeegee and backroll before we broadcast the flake. This client chose a gray and white mix with 7% silver micah for a unique look that will have a gorgeous finish. Hardscapes has been installing architectural concrete finishes in and around Calgary for many years. 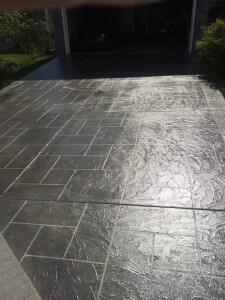 Have a look at some of our gorgeous concrete resurfacing/overlays in our Houzz portfolio. If you have a resurfacing project or other decorative overlay ideas for your concrete project project this spring, contact us for more information or to schedule a consultation. We’re here to help! You see it on TV all the time. The DIY Disaster. There is nothing worse than starting a home project only to find out to late you don’t know what you’re doing. You can watch as many YouTube video’s as you want but if you have never done something before you could be in for a big surprise. It’s mostly looks easier to do than it actually is. That especially applies to concrete. 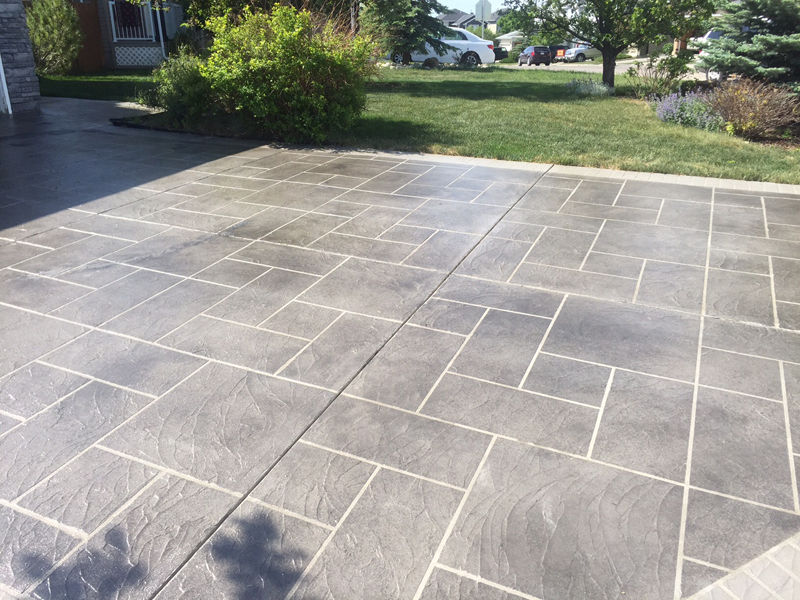 With getting the right mixture to drying times and finishes there is a lot more to pouring your own floor or back yard patio. 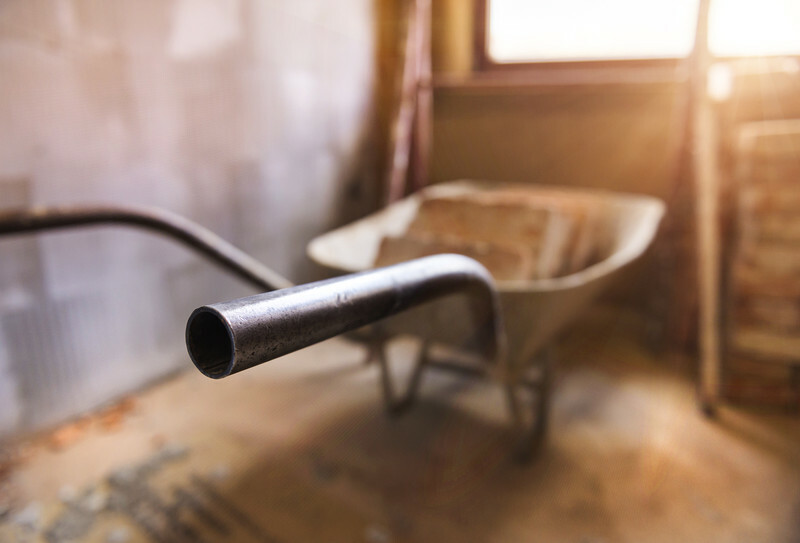 Don’t wait until your project has to be jack hammered out and re-built by an expert. Why not give Hardscapes Inc. a call to discover how they can make your concrete project a thing of beauty without the worry and get it done right the first time. Are you finally getting around to cleaning up the garage for summer. Once you have packed away all the winter shovels and snow equipment and scraped the road mud and salt from the floor is it looking pitted and discoloured? 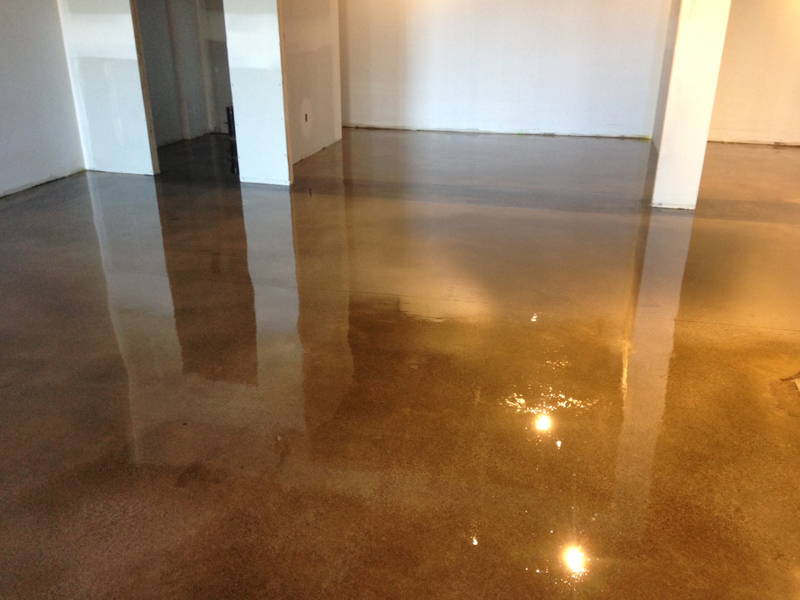 While you’re cleaned out, why not get that ugly floor cleaned up and coated?! 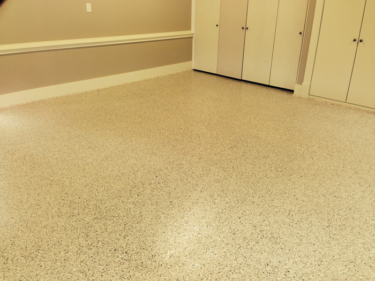 A polyaspartic coating will do wonders for your garage. It will be brighter, cleaner, easier to clean, and best of all, protected from all that salt and road debris. 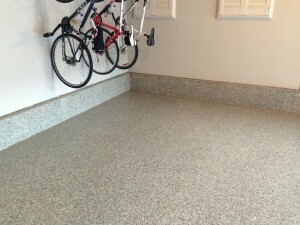 Many garage floors can be done start to finish in just ONE DAY! That’s probably faster than it took you to clean it up. This decorative concrete overlay we installed in 2008 still looks amazing with a fresh coat of CSS emulsion sealer. 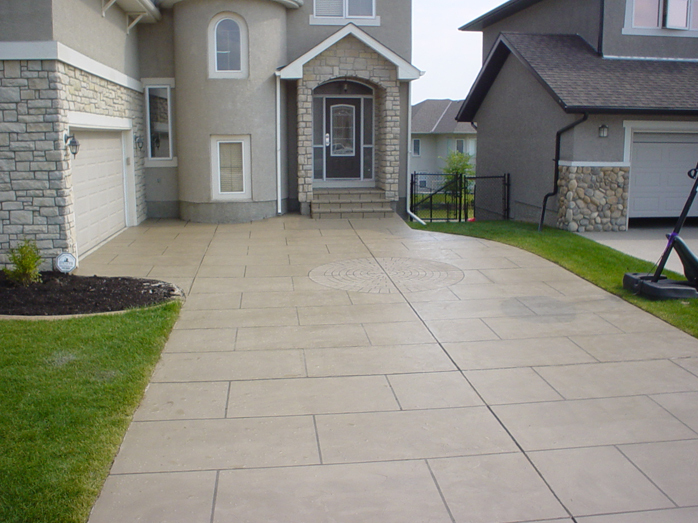 A testament to Elite Crete Systems Thin Finish overlays standing up to even our harsh Canadian climate. Is the weather making you think of spring? 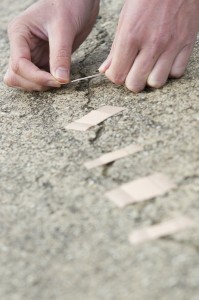 Are the cracks and oil stains on your garage floor making you think of not cleaning it out this spring? Be the envy of your neighbor’s this year. 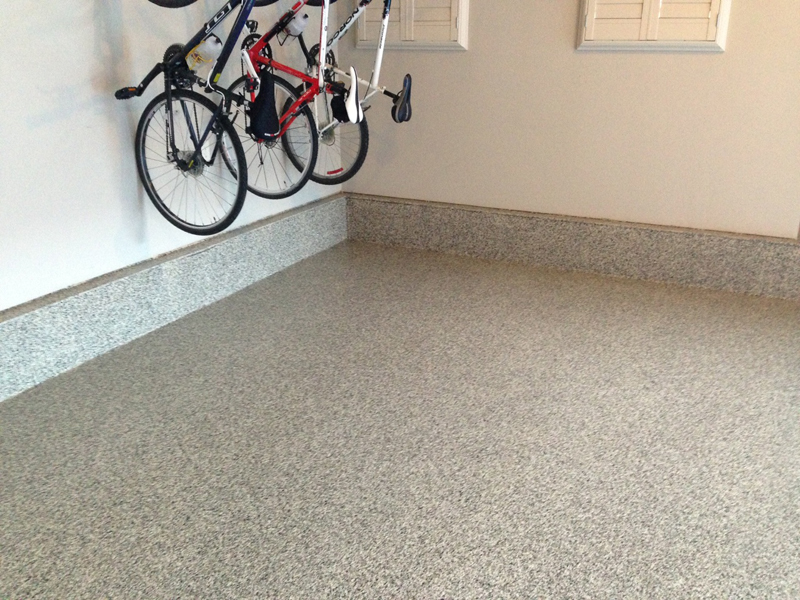 Get all the winter clutter cleaned up and book your garage floor install today. 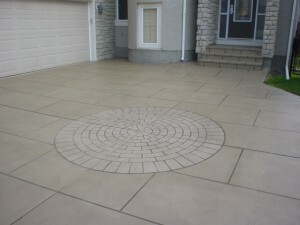 Take advantage of Hardscape Inc.’s early season pricing.